Always driven by purpose, Fernanda has had three very different experiences with social initiatives both during her university and after graduating. 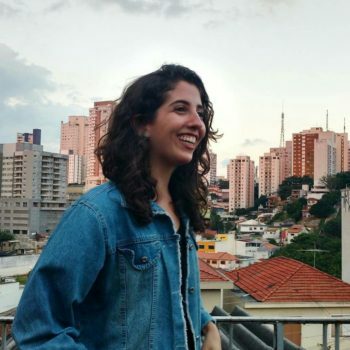 She has a degree in International Relations and currently works at Geekie, a Brazilian start-up focused on Education, where she works with Human Resources. Through this role she is learning a lot about innovation and the possible social impacts of technology. Prior to Geekie, she worked at the Sustainability and Social Responsibility department of a multinational company, which was also a very enriching experience. Her very first contact with social change was during her first year of college, when she had the opportunity to volunteer through AIESEC, an international university student’s platform. Through all this various experiences, Fernanda cannot imagine herself working for anything that lacks meaning for her and for others; she is curious about anything related to culture and is passionate about sustainability and human rights.